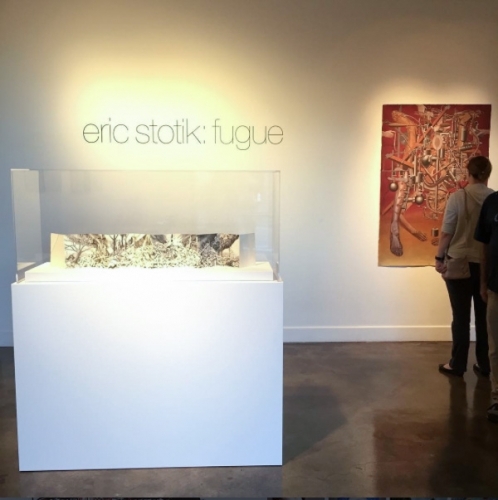 Eric Stotik: Fugue, a survey of the artist's work spanning over 20 years is now on view at the Ronna and Eric Hoffman Gallery, which is on the campus of Lewis & Clark College. The show includes an installation of Eric's large continuous painting, 5 feet high and 45 feet long, displayed on a circular support allowing the painting to be seen as the artist originally intended, without a beginning or endpoint. The show runs through December 13th. More information can be found on the gallery's website.